Each serving delivers 100mg of Magnesium. Directions: For adults, take one (1) capsule up to five times daily, preferably with a meal. Other Ingredients: Gelatin, Croscarmellose Sodium, Vegetable Magnesium Stearate. Magnesium Citrate 100mg is rated 4.8 out of 5 by 13. Rated 5 out of 5 by Anonymous from Is always on back order.!! Excellent product when available. Always on back order. Has been for several months. Rated 5 out of 5 by Ernesto from Great product This is just the right amount to supplement my daily intake of magnesium. Rated 5 out of 5 by Egschwarze from Magnesium citrate Magnesium citrateit's a great product and has help me a lot to be able to keep moving I have a recommend it. Rated 4 out of 5 by Demo from Good form of Magnesium Magnesium Citrate is reportedly the best form of magnesium, a nutrient in shorter supply in the soil today. 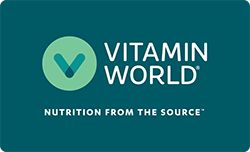 The value at Vitamin World was good because I had a $5.00 coupon, otherwise it is a bit pricy. The clerk was very knowledgeable and helpful. Rated 5 out of 5 by Debbi17 from Promotes calm at my hectic job. Thank you! This product is wonderful! Has such a calming effect at my hectic job.